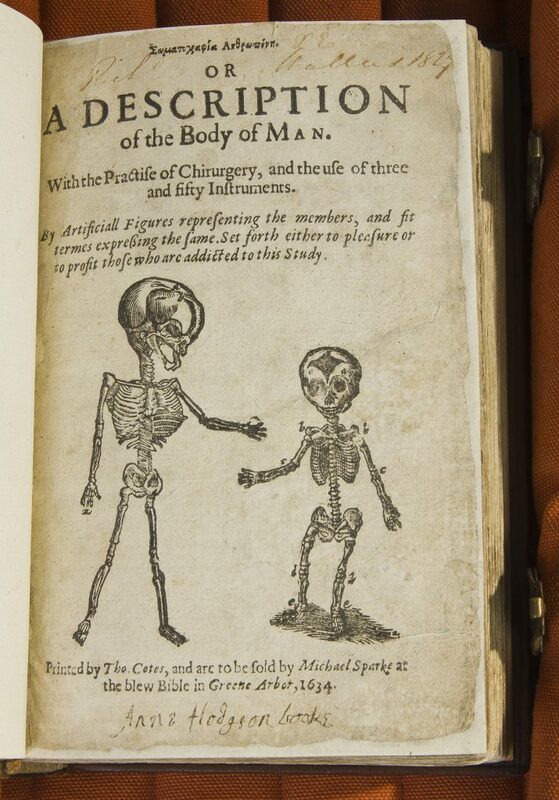 Unlike many of his contemporaries, Shakespeare never expressed a desire to publish his plays. 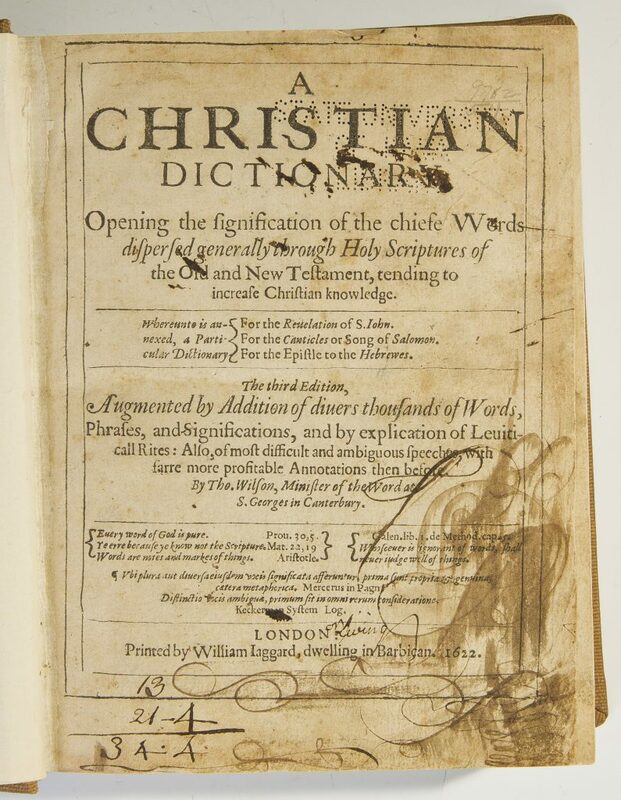 They were nevertheless extraordinarily popular in print, and they remain so to this day. 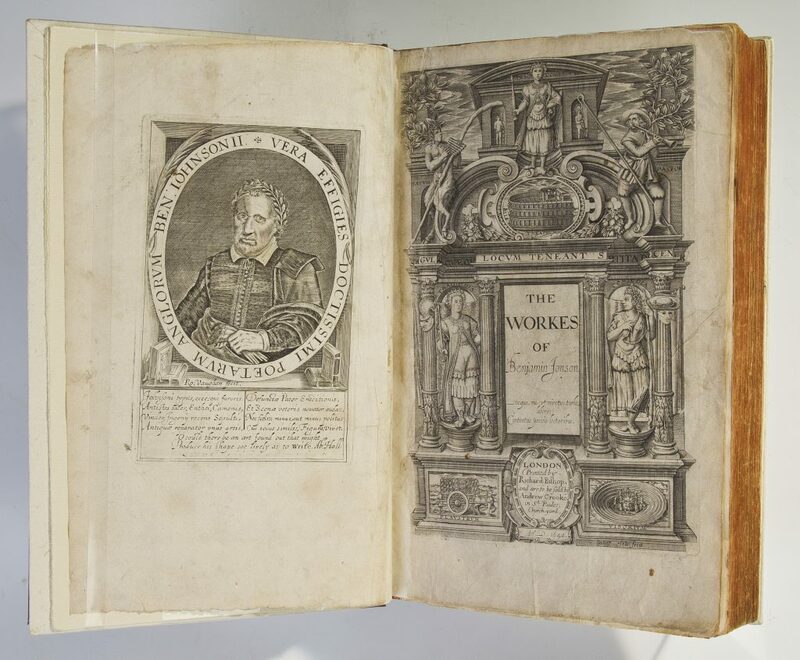 It was the Renaissance book trade—the printers, publishers, and booksellers working in London—that first made Shakespeare into a best-selling author. 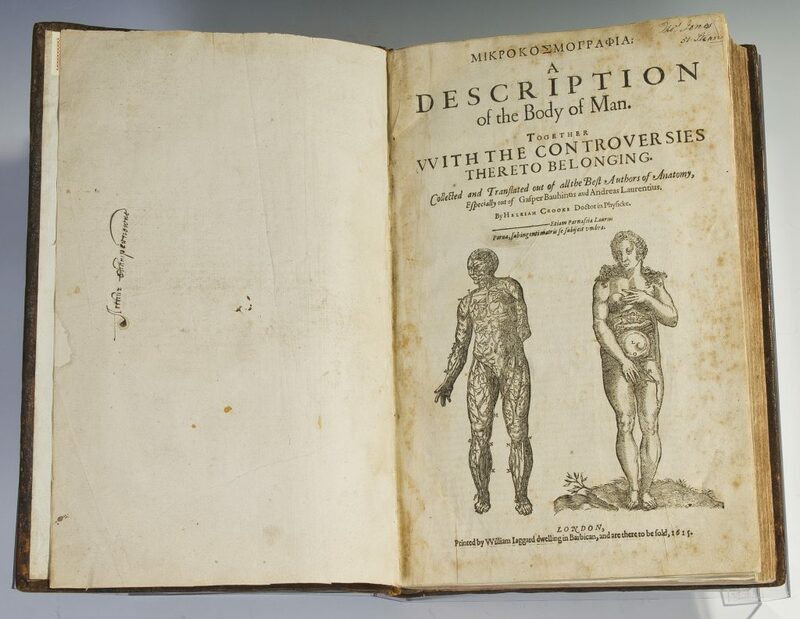 The items found here provide context for the book we now call the “First Folio”—the posthumous collection of plays that in many ways has come to represent and embody Shakespeare. 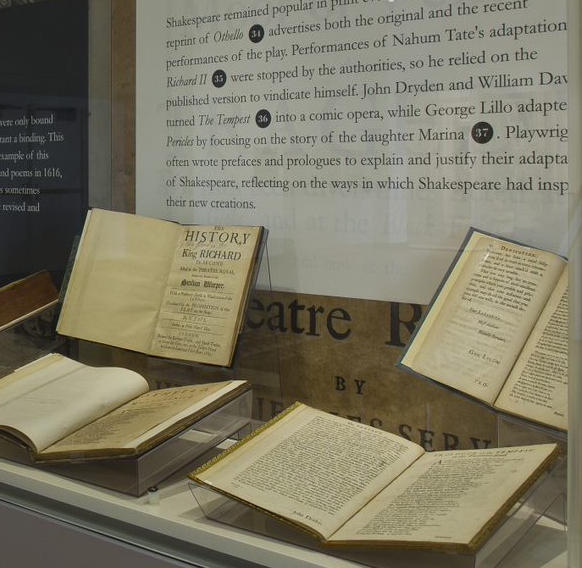 Other items include some of the books that reshaped Shakespeare’s reputation in the century after his death, and other kinds of collected editions of plays. 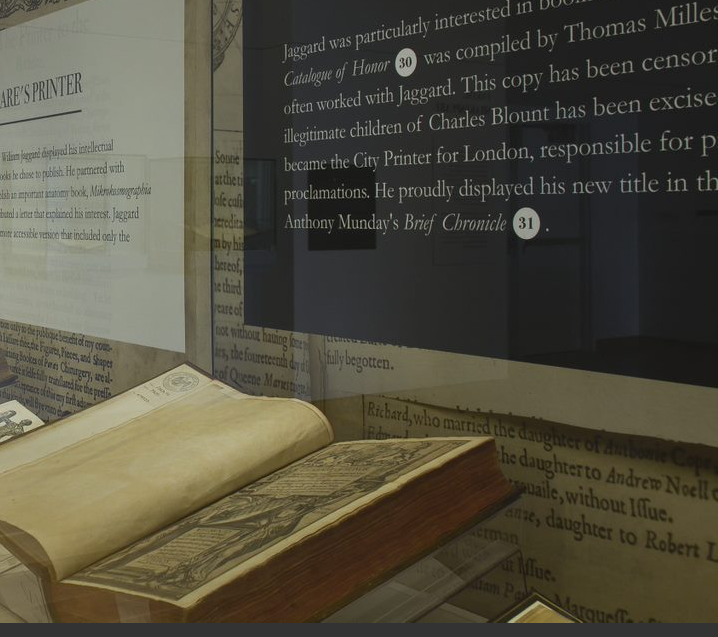 The large format collection of thirty-six plays published in 1623—the “First Folio”—was a commemorative volume compiled by Shakespeare’s colleagues in the theater. 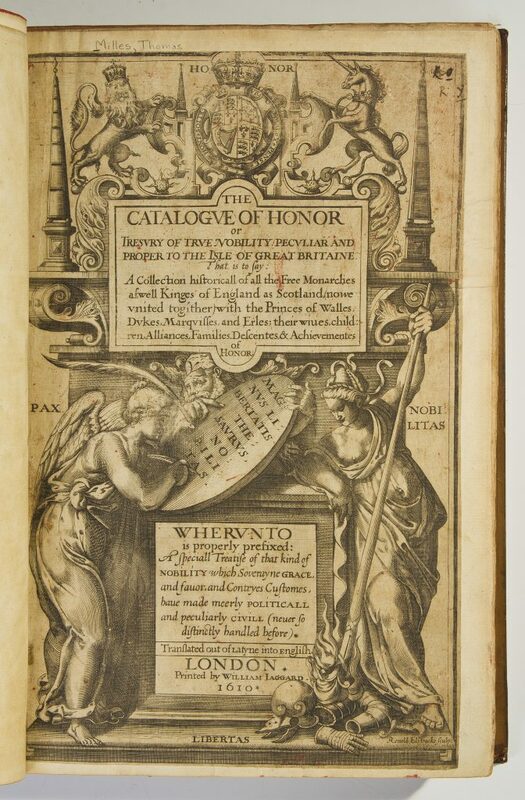 It was printed by William Jaggard, who had a long history of selling Shakespeare. 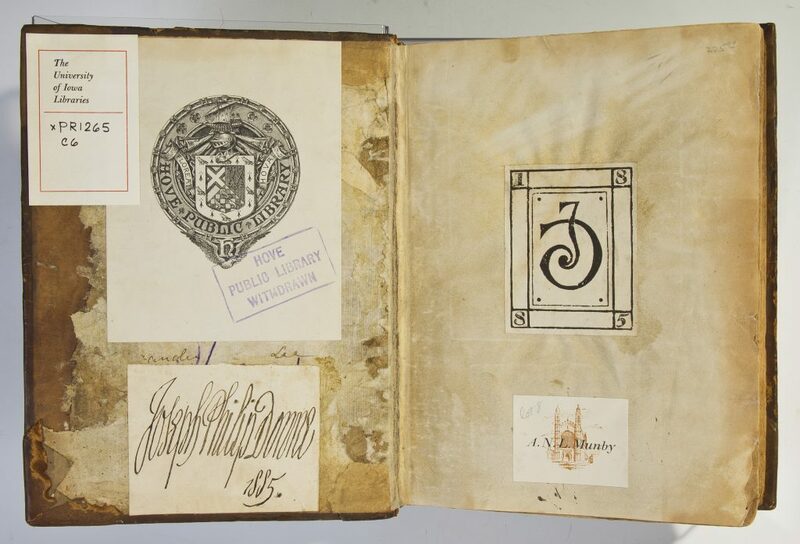 Jaggard’s involvement with Shakespeare must be contextualized within his business as a printer and publisher, and these items include several of the books that were important to him. 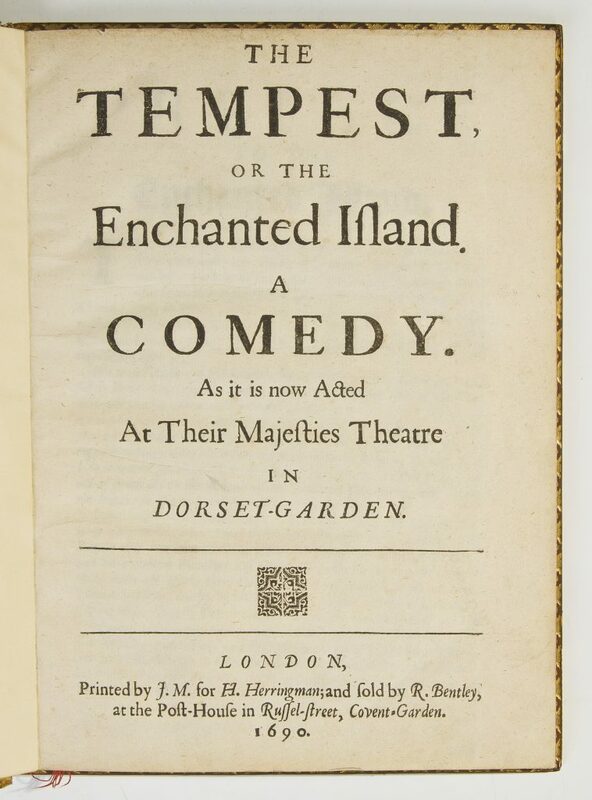 Shakespeare remained popular in print even as his plays were adapted. 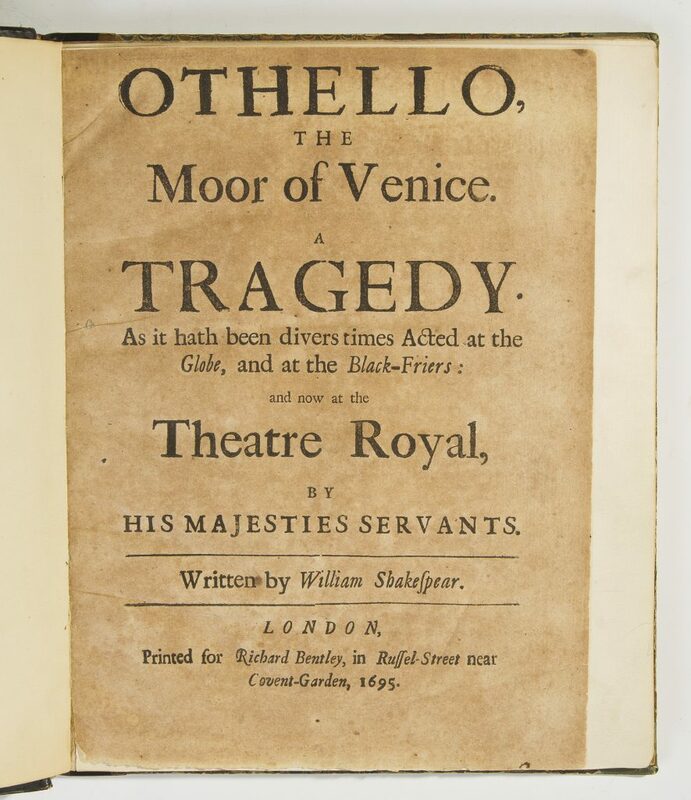 This reprint of Othello advertises both the original and the recent performances of the play. 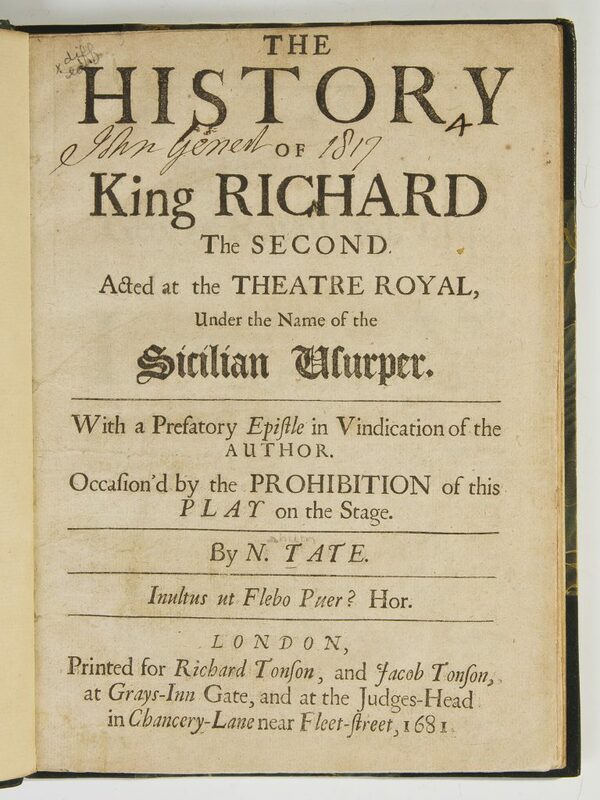 Performances of Nahum Tate’s adaptation of Richard II were stopped by the authorities, so he relied on the published version to vindicate himself. 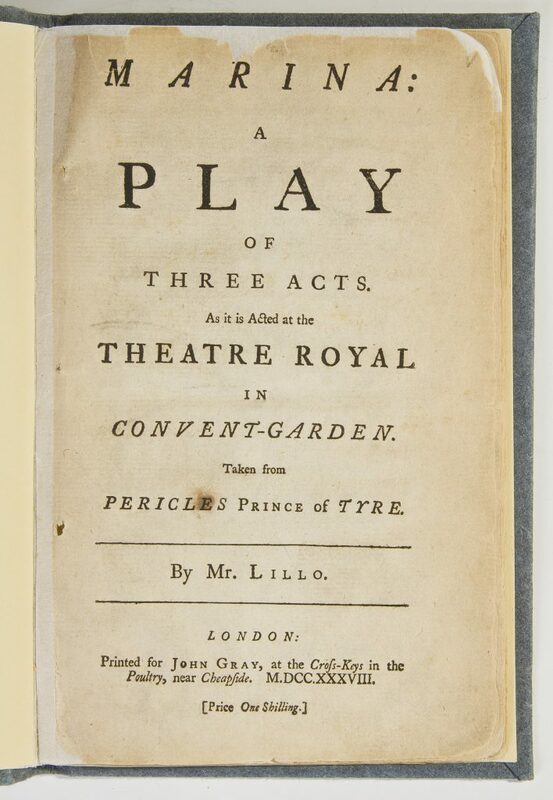 John Dryden and William Davenant turned The Tempest into a comic opera, while George Lillo adapted Pericles by focusing on the story of the daughter Marina. 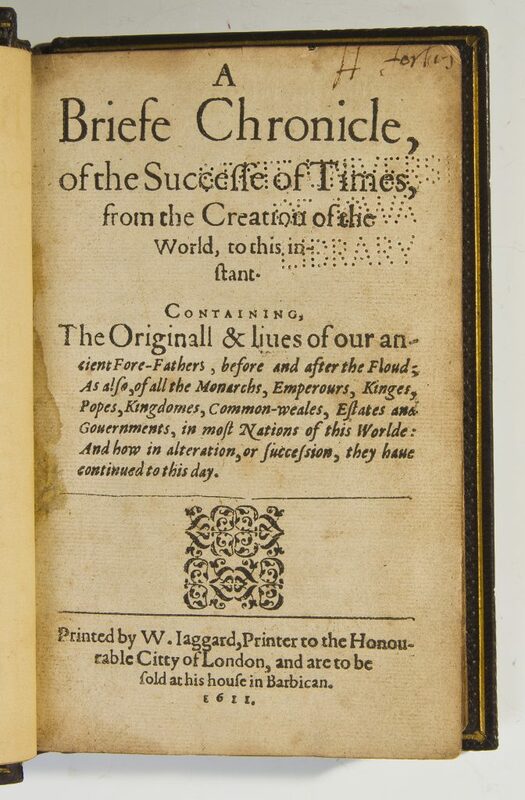 Playwrights often wrote prefaces and prologues to explain and justify their adaptations of Shakespeare, reflecting on the ways in which Shakespeare had inspired their new creations.